The Tubal Cain foundry and engineering works on Tyndall Street, Cardiff, was established between 1869 and 1871. The Kelly's Post Office Directory of 1871, listed Parfitt and Jenkins as occupiers of the 'Tubal Cain engine works', and manufacturers of 'locomotive, marine and stationary engines and boilers, points, crossings, turntables, cranes and railway bridges.' 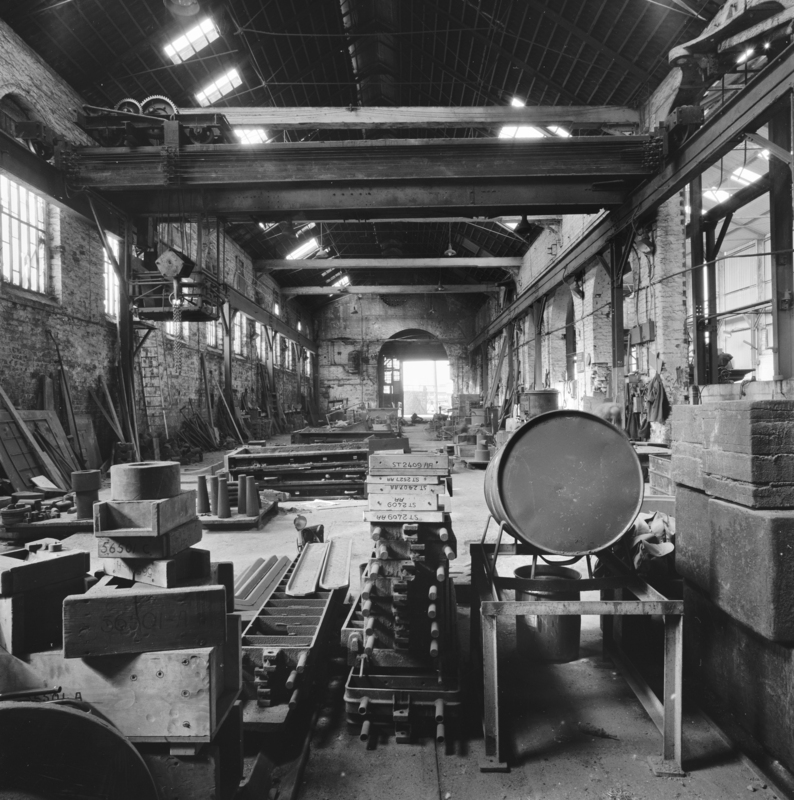 In the later 20th century, as Penarth industrial services Ltd.; it was the only jobbing foundry in South Wales capable of producing one-off pieces of work, rather than being limited to production runs. An occasion which illustrates the importance of this service was when a major international company (Weir Steels), contacted the company in connection with a pump for use on a ship at the port. A sensitive part of the pump (the Impaler), had worn out. Their normal suppliers would have taken weeks to replace it. The company replaced it in 24 hours thus enabling the ship to catch the scheduled tide. Other examples of specialist work undertaken by the foundry included: Supplying propellers for a dredger, using the damaged propellers as a pattern. These cast iron propellers were made from the jobbing castings at the foundry (client: Associated British Ports). Supplying parts and services for the lock gates at Bristol (client: Port of Bristol Authority). Providing guides for the production of wires, bars and sections. And replacement castings for various machinery essential in steel production (client: Allied Steels, Cardiff). Supplying specialist castings for mines in the South Wales area (client: National Coal Board). Renewal of hoppers and pipework at their Aberman (client: National Smokeless Fuels). The manufacture of specialist equipment to be installed on Lighter bargers for use in the West Indies (client: Geest). The manufacture and installation of very specialist equipment for boats exported to Cuba for use by the Cuban government. Engineering contracts at the (then) new Laura Ashley plant in North Wales. During the Cardiff redevelopment of the 1980's, Compulsory Purchase Orders were served on Tubal Cain Foundry and other industrial buildings in Tyndall and Herbert Streets. In 1985, during the subsequent public enquiry, the following list, showing the ways in which the foundry was important, was submitted by the Victorian Society: 1. The continuity of activity and employment on this site has maintained a pool of high-level craft skills which are of proven benefit to industry. The present proprietors are continuing this tradition of skill. The firm provides on-site training and work experience for apprentices and in association with Skill Centres. 2. The works have a general educational potential. They have been the venue for visits by senior school students and have been used as a setting for a film. There is a dwindling stock of places where a sense of the reality of industrial activity in the past can be created with authenticity. Such presentations are socially valuable in the development of positive attitudes towards industry today. 3. The demand from the general public for an active way of presenting industrial history (e.g. as at Big Pit, Blaenavon) is now growing. The original foundry building of the Tubal Cain works is almost perfectly suited to for such a presentation of metal-casting. It would be simple and cheap to erect a viewing gallery at window level along the outside wall of the foundry from which visitors could view the various processes on 'open days'. 4. Preservation - the actual foundry building is an authentic surviving Victorian industrial structure. The roof is a fine example of a wrought-iron (not steel) tie-bar truss and there are a number of other built-in features. Such buildings are becoming rare. This example of continuous working history is well worth preservation for the interest and information of future generations. There were 12 objectors from Tyndall Street, Herbert Street and Schooner Way, representing active local businesses giving employment to over 170 people. Penarth industrial services Ltd. (Tubal Cain foundry), was the largest and most important of the objectors. Sadly, the decision was made to demolish the foundry as well as other industrial works in the area. A report identified the emissions of smoke, dirt and sulphur dioxide fumes, from the casting operations and the other heavy industry, as the 'prime reason' for the conclusion that the works should not continue to operate on the site.